2013 was a wonderful and memorable year for me, and I’m eagerly looking forward to what 2014 has in store. 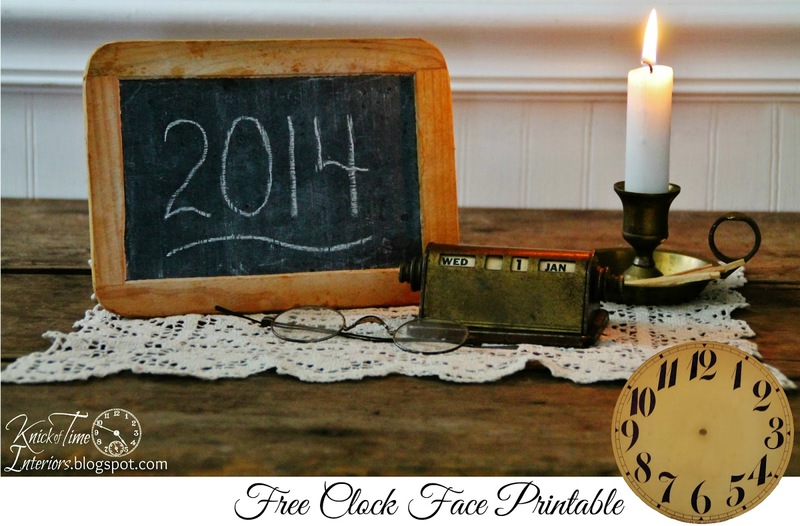 Today’s printable image is a vintage clock face. It’s a PNG image, so you can layer it digitally over other images. This isn’t an image that can be enlarged, or the numbers will become pixelated. The original face is attached to a rounded piece of galvanized metal, so I couldn’t lay it flat on my scanner to get a sharper resolution. Click on the image to save it in the larger, original size. 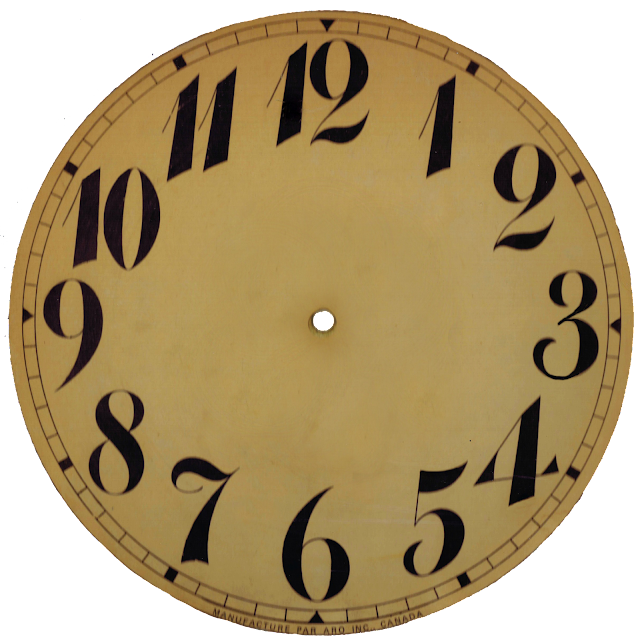 Tomorrow, I’ll be sharing a project that relates to this clock face! Right-click, save and print the image below, to print it on one letter-size sheet of paper. New Year’s Blessings to each and every one of you! I appreciate you all and hope the coming year is full of love, wonder, inspiration and creativity for you. More vintage clock face printables can be found HERE. Thanks, Angie, this is just what I was looking for to start my new journal for 2014! One of my favorite verses. I need to remember this daily. It’s easy to focus on the things that we need to let go of. I love the verse, “Forgetting those things that are behind, I PRESS ON!” That’s what I intend to do this year, watch for the NEW thing that God wants to do. Thank you so much for sharing! gotta love those clock faces! wishing you all good things in the new year Angie! Oh my goodness! I’ve just spent the last 2 hours devouring everything on your site.. This is undoubtedly THE best thing I’ve found on the internet in a long long time! I can’t thank you enough for your downloadable clock faces. I’ve got to check out your Etsy shop for some florals. Your creativity and generosity has just made my day. Thank you so very much. Blessings to you. Kathy, if I need an image a specific size, I usually go to a print shop like Staples and tell them the size I need. They’ve always been able to print them for me. If you have a program like Photoshop, I believe you can also print images at specific sizes.